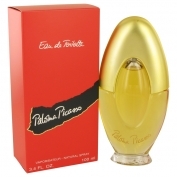 The perfume created by Paloma Picasso - the daughter of the famoud painter. This a fragrant self-portrait. 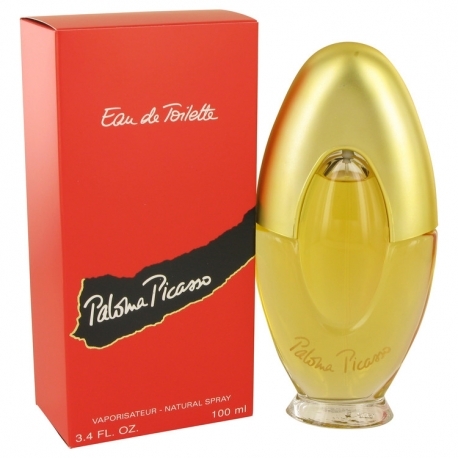 Her maternal grandfather was a perfumer, so, as a child, she was familiar with combining smells, creating scents. Her artistic talent is something she inherited from her father, therefore she was very successful in her work as a jewelry designer for Yves Saint Laurent and Tiffany & Co. Her favorite perfume is Chanel Nº 5, so she wanted to create a perfume with an aldehydic accord. Red is her favorite color and black is a symbol of power. This perfume is an elegant floral chypre with a medditerenian temperament, but because the perfume was very complex it was very hard to market it. She was afraid that her associates would change the formula, but luckily, this didnt happen. The fragrance opens with a fresh and spicy note of coriander, angelica and carnation. Aldehydes are in harmony with ylang ylang, jasmine and hyacinth. Woody notes of oakmoss, patchouli, sandalwood, vetiver,tobacco blend with orginal animal note (castoreum, civet and musk). Paloma Picasso was launched in 1984.